Melbourne City Council voted last night to continue its opposition to Stage 1B of the East West Link and called for the Napthine government not to sign contracts before the November state election. Six councillors supported a motion moved by Cr Rohan Leppert while five councillors including Lord Mayor Robert Doyle voted against the ten-point resolution. The motion was amended just prior to the meeting to include a request for the Linking Melbourne Authority to consult with the City of Melbourne on the draft development plan for Stage 1B and flyovers or tunnels through Royal Park. Stage 1B includes a four lane viaduct running along the western edge of CityLink from Flemington to Footscray. 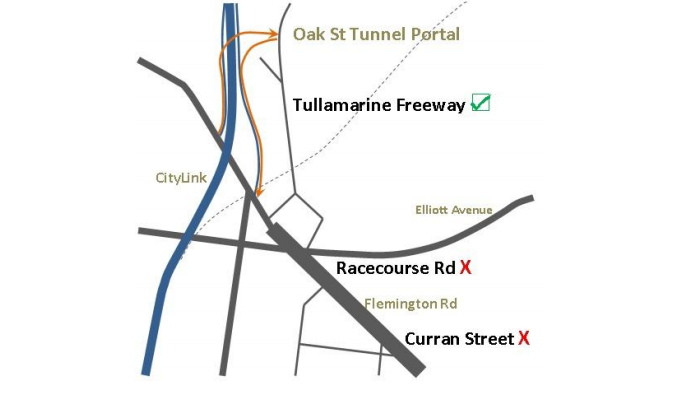 A second amendment required council officers to report on the impacts of the Ministerial approval of the East West Link and ways in which the City of Melbourne can influence the final design of the project. 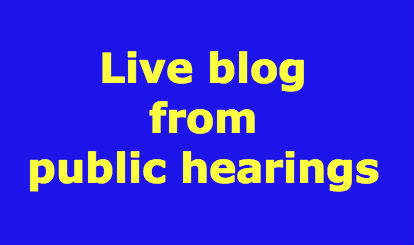 In speaking for the motion, Cr Jackie Watts noted the City of Melbourne has received compensation from the LMA for impacts on sporting fields and community facilities. Cr Doyle said accepting compensation was warranted and that Victorian Trades Hall Council, and industry and employee groups support the East West Link “in its present form”. He also made pointed comments about the politicised nature of the debate including a reference to federal MP Adam Bandt’s comments about preferences possibly being directed away from the ALP. Cr Richard Foster spoke in support of the motion and strongly criticised the Minister’s decision to approve the project. Councillors Arron Wood and Stephen Mayne both supported the motion’s focus on Stage 1B expressing the need for a cross-city transit route, but concern for the speed of decision making and lack of detail in the current approval. Cr Mayne said the Napthine government did not have a mandate for the East West Link and should take the project to the November election. Speaking against the motion, Councillor Ken Ong said the East West Link is a “life-saver” for the “hundreds of thousands of cars sitting on the car park” of the Eastern Freeway. Parkville resident Anthony Peyton spoke to the meeting on behalf of residents whose homes may be threatened by a new interchange with Flemington Road that is yet to be designed. My Peyton presented a design option for an interchange running from the tunnel portal north of Oak Street and connecting with Mt Alexander Road adjacent to the Moonee Ponds Creek. Minister Guy approved Parts A and B of Stage One of the East West Link on 30 June despite the expert planning panel recommending Part B be set aside for further work. 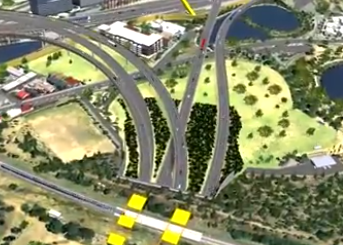 The LMA is required to submit a development plan with a final design for Part B, an interchange with Flemington Road, and a connection with CityLink. The final bidder for the project is due to be announced in September. 10. requests management to report to a public meeting of this Committee as soon as reasonably manageable (a) details of the extent to which the City of Melbourne’s submission on the CIS was taken up by the Assessment Panel and the Minister, and the impact of the Minister’s decision on the City of Melbourne, and (b) an explanation of the opportunities by which the City of Melbourne can participate in and influence the project as per the conditions of the Minister’s approval.